CRI of 90 – for tungsten emulation. Enhanced colour range – create subtle theatrical hues. Single colour diffused optics virtually eliminate multicoloured shadows & offer camera friendly output. Exceptional colour brightness & light output levels. Advanced beam spreading technology – even colour mix across the beam. High quality of colour depth, superior colour rendition & a warmer colour range. Modular construction with range of fixing accessories – easily configured as a wide variety of shapes. 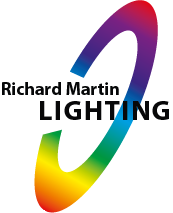 RGBI (*Magic Amber) control – to enhance colour adjustment & easier control of light output. Variable Effects Engine (V² technology) – choice of dynamic colour & effects parameters. Heavy gauge anodised aluminium extrusion – lightweight but extremely robust.